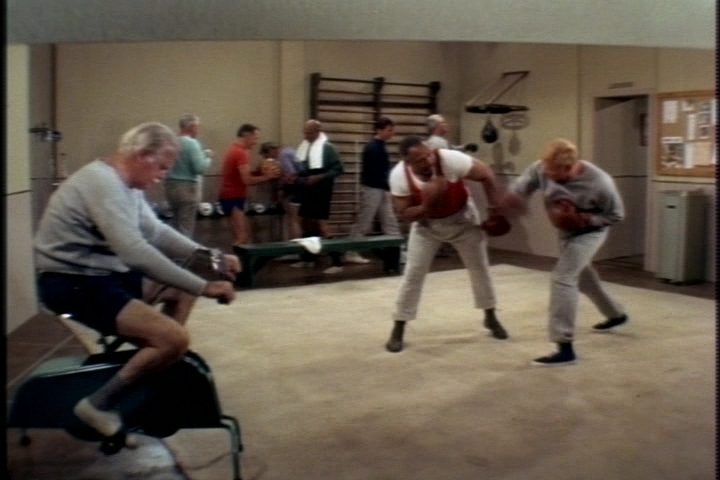 We open this week’s episode in one of those old-school male gyms. Uncle Bill’s sparring partner gets a bit carried away and lands a solid punch to Bill’s chin. Ruby apologizes profusely, explaining that he’s too distracted by worry to know what he’s doing. 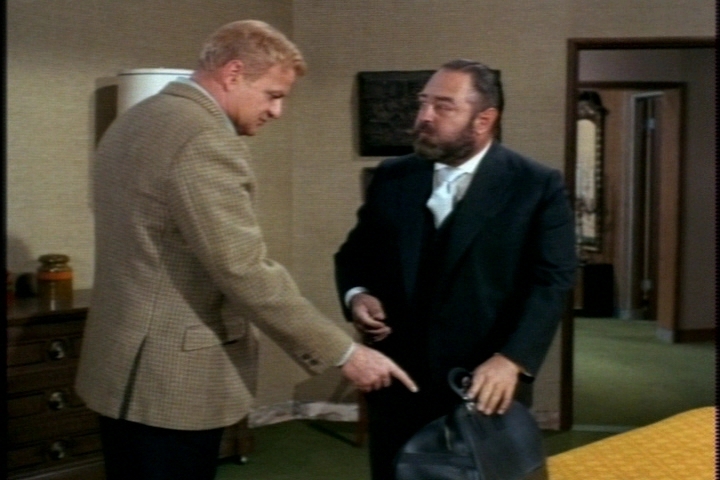 Bill soon meets the source of the man’s worry–his son, Michael. Is Michael sick? Is he getting into serious trouble? No…he just plays with his three sisters too much. Bill seems bemused by Ruby’s concerns. He’s not at all worried about his own son, who’s at home playing house with his sister. 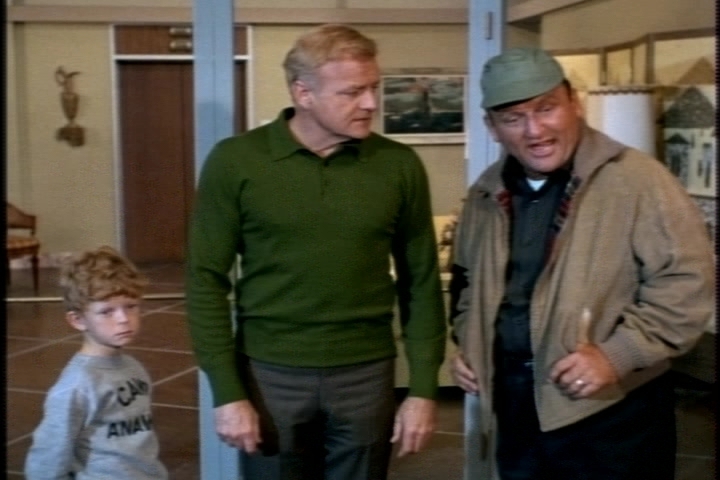 When Ruby still insists on sending Michael away to a boys’ camp, Bill recommends one run by a friend. Bill might be more concerned than he lets on, though–when the men resume sparring, he lands an accidental punch this time. At home, Bill reacts with dismay to the news that Jody is modeling an apron for dressmaker Buffy. He suggests to French that camp might do Jody some good. French is all for it, and not just because it will lighten his work load. Bill heads into the girls’ room to broach the camp issue with Jody. 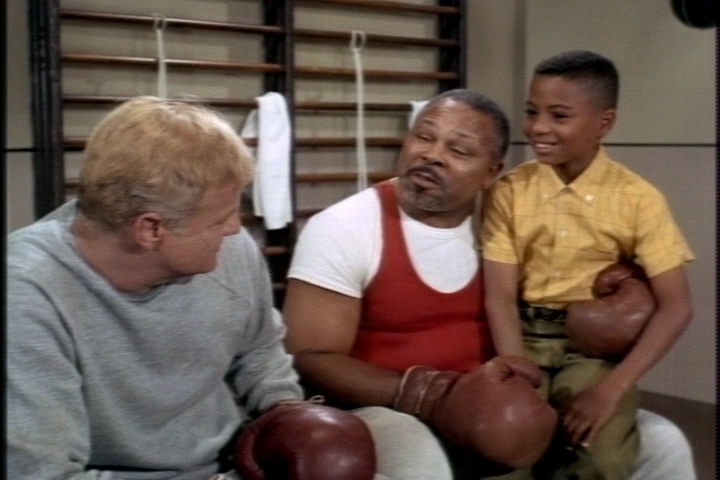 “Look at me–I’m a dummy!” Jody announces to his uncle. When Bill tells Jody about camp, the boy is excited. He assumes, however, that his sisters will be going, too. Buffy assumes so as well and begins rhapsodizing about the pleasures of swimming and hiking. Jody is crestfallen, too, but he quickly puts on a brave face for his uncle’s benefit. 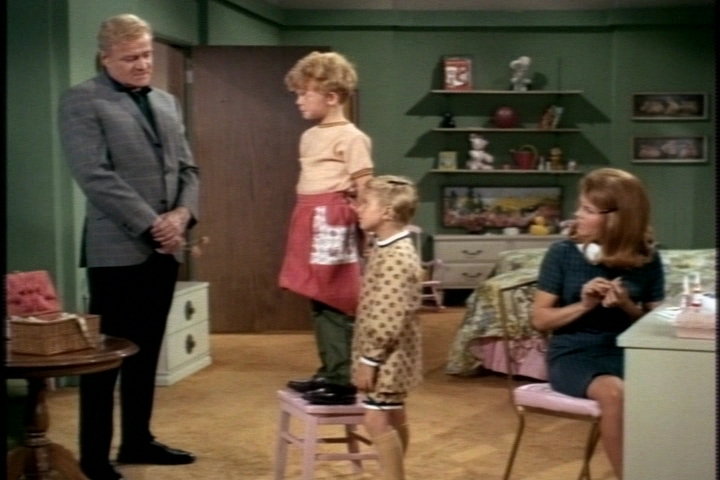 Soon, Jody’s bidding a sad farewell to the family. Walking down to the lobby, where Jody’s ride is waiting, an obviously ambivalent Bill tries to suss out Jody’s true feelings. Jody continues to put up a positive front, even when he gets his first look at the kids who’ll be his cabin mates. The driver assures a worried Bill that the kids’ homesickness is normal, and that they will soon be having a great time. Bill puts Jody in the car, but he’s in a worried mood when he returns to the apartment. Buffy’s upset, too. She’s slipped back into her “Yes, sir,” mode of communicating that always emerges in times of distress. That’s a nice touch, especially coming from writers who can’t even remember a previous camp-themed episode. In Jody’s cabin at camp, the only repeat camper provides a discouraging report. 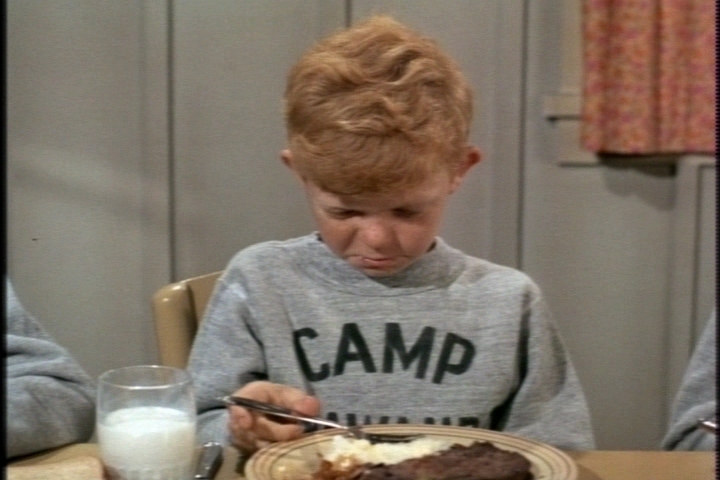 Allen’s been to Camp Anawanda twice before, and he hates it. He says he wouldn’t stay if he had a family to go home to. Alas, his parents dump him at camp so they can visit Europe. Jody is determined to make the best of things, however. He even tries to develop a taste for calf’s’ liver. You’re a better man than I am, Jody. 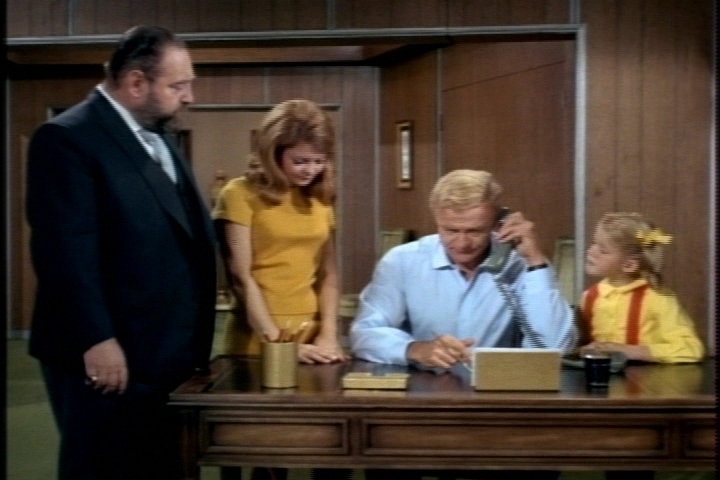 When Bill places a call to camp, Jody gushes about how much fun he’s having. Reading Jody’s postcards is apparently a big event for the whole family. 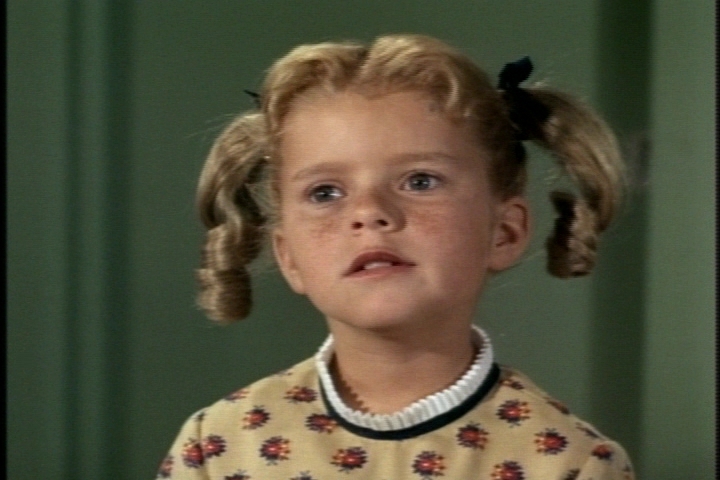 Don’t you think at least Cissy might have something else to do occasionally? 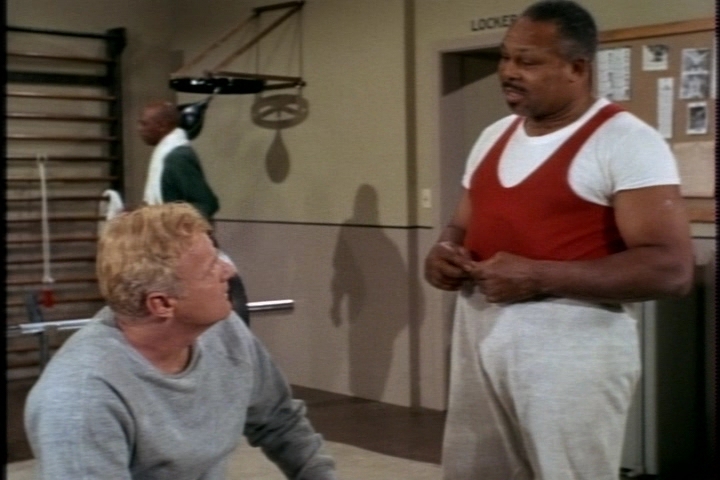 When Bill meets up with Ruby at the gym again, Ruby says that Michael cried non-stop the first three days of camp. All’s well that ends well, though. Bill is glad to hear that Michael is doing better now. Ruby agrees that the boy’s much happier–hanging out with his sisters, since he came home from camp early. Bill’s startled by this news, and even more startled when Michael tells him that cabin-mate Charlie also left early after crying his eyes out. The Davis family hustles up to Camp Anawanda to see how Jody is really doing. The camp director is sure that Jody is having a ball. This guy’s pretty smug considering the rate at which children are fleeing his camp. Jody does seem enthusiastic about everything as he shows Bill around the camp grounds. Who wouldn’t be enthusiastic about a lovely spread like this? Bill finally finds a clever way to assess Jody’s true feelings. He says that after the boys’ camp ends, Camp Anawanda will be having a girls’ camp, and he plans to send Buffy. “You wouldn’t do that to Buffy? !” Jody blurts out. 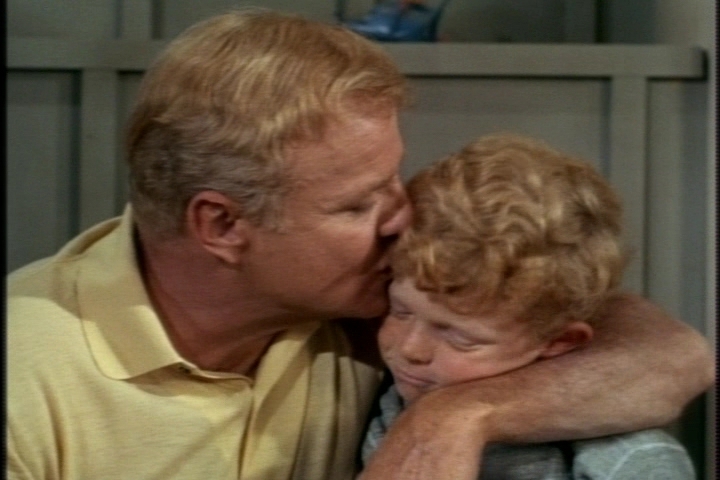 We get a sweet father-son scene as Bill assures Jody that it’s okay if he comes home. Back at home, Bill is off to the gym again. Bill: Did you remember to put a fresh perspiration garment in there? French: If you are referring to the, um, sweatshirt, sir, the answer is in the affirmative. Bill: I didn’t think you would use that word. 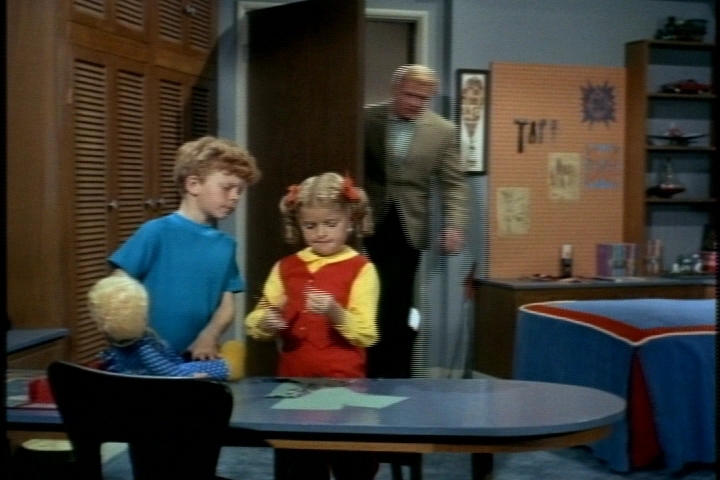 Meanwhile, Jody’s helping Buffy cut out construction-paper contact lenses for Mrs. Beasley. He jumps at the chance to go to the gym with Bill instead. Buffy, who can’t understand why Jody wants to get all sweaty and dodge punches, closes the episode with one of those precocious TV-kid moments: She proclaims she’ll never understand men. If you didn’t know the Davis family backstory, Bill would appear to be inventing helicopter parenting here. I believe camp was a standard experience for city kids of the twins’ social class, and kids usually do get over their homesickness. Jody does such a good job convincing everyone he loves camp that he appears to have almost convinced himself. 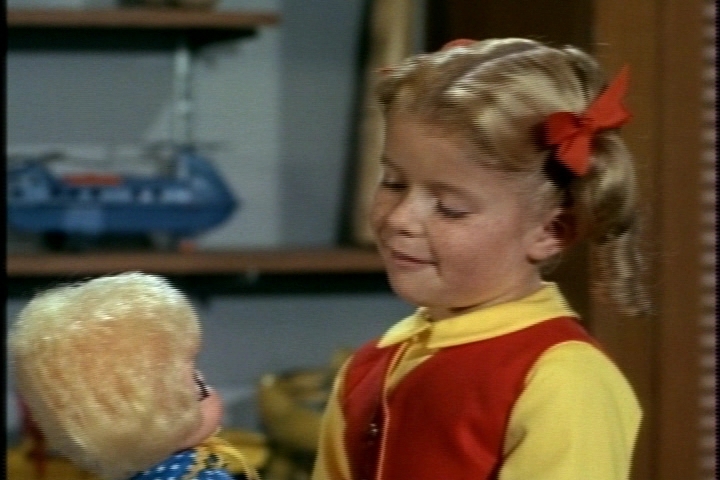 If Bill hadn’t continued probing for his real feelings, I think Jody would have survived the camp without any lasting trauma. 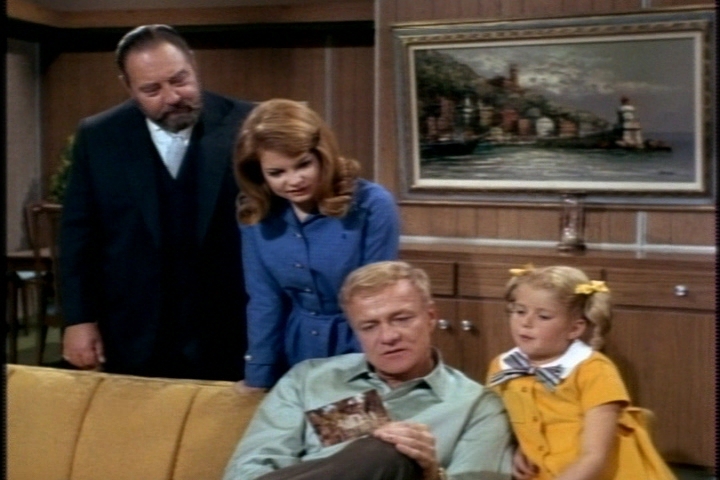 This episode does a good job reflecting ongoing Davis family issues–their separation anxiety and their impulse to protect one another’s feelings. Jody still has a turtle. Jody’s camp was supposed to last more than three weeks. 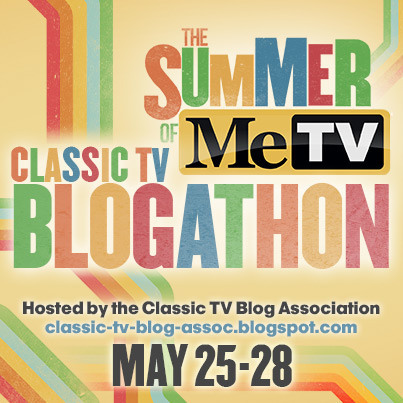 It must be summer, so seasons in the Davis world don’t match up with real world at all. 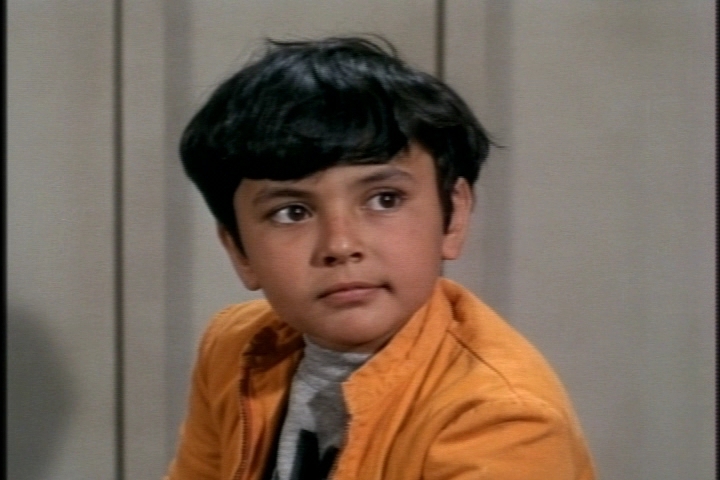 Charlie: Michael Barbera. Counselor: Robert Broyles. Allen: Ricky Cordell. Driver: John Lawrence. 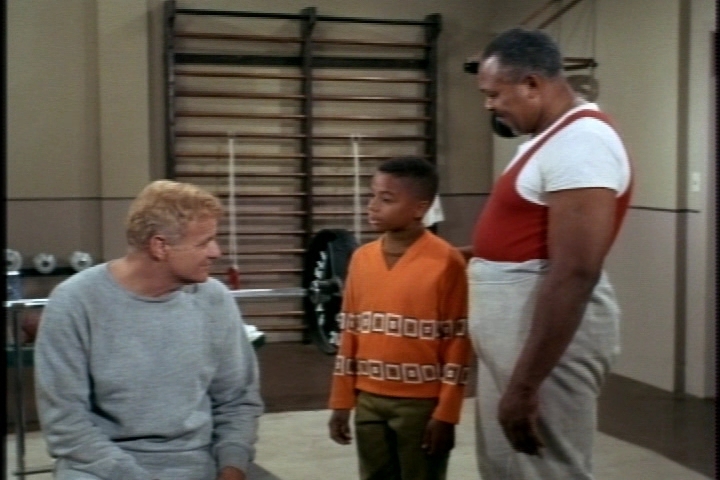 Ruby: Archie L. Moore. Mike: Ezekiel Williams. George Sperling: L.E. Young. 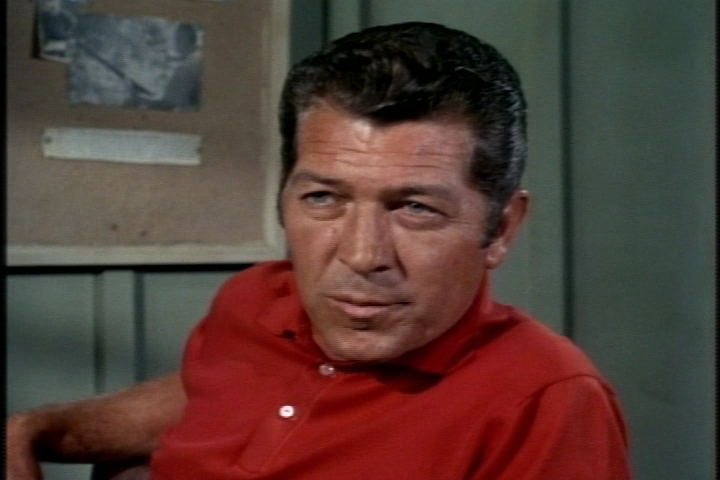 Moore, a champion prize-fighter in the 1950s, turned to acting in 1960 with a strong performance as Jim in The Adventures of Huckleberry Finn. 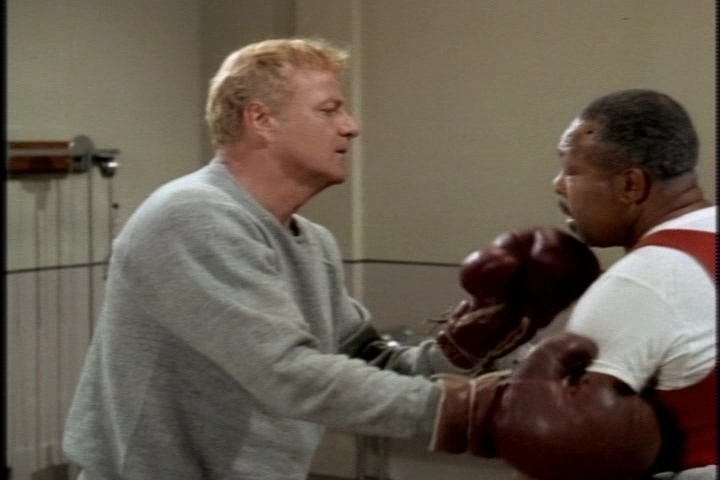 Through the early 1980s he made a series of TV series appearances, mostly in boxing-themed roles like this one. Most of this week’s guest actors are Family Affair veterans. 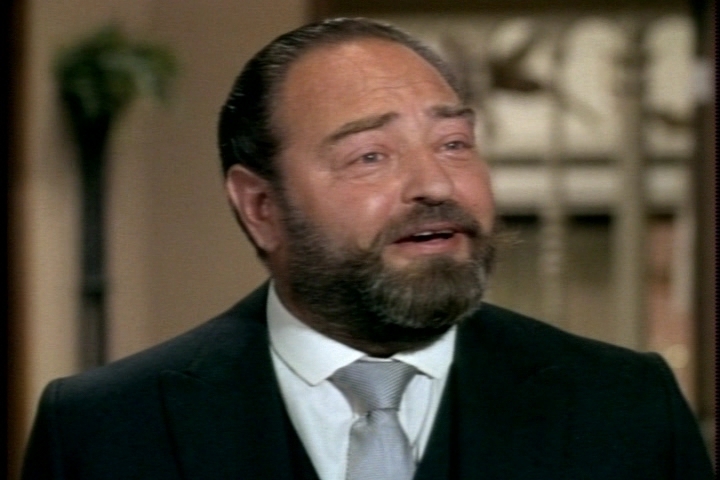 Cordell had a memorable role as Pepino in the first-season episode “Love Me, Love Me Not.” We’ll see Barbera again next week, but his character will have a different name. I love the phrase “perspiration garment”. I’m borrowing it. Also, I would love to have a grey perspiration garment like Jody’s, with the word CAMP printed on the front in giant bold letters. Oh my, these boys in the mess hall look as if they were in a prison camp or attending a funeral meal! Camp can’t be that bad, can it? I’m trying to figure out the differences between US and German camp schemes. To avoid making the same mistake as last time, I base my notes on personal views right from the start this time. To begin with, I think holiday camps here are not as popular as they seem to be in the USA. When I was a kid at the twins’ age in the 60s, I can’t remember ever having heard of such camps being available for individuals (my personal perception!!!). What existed, however, were camps for all pupils of one grade/class. Such municipal camps close to “home”, or youth hostels booked by the school, often further away from home, were actually quite popular. In my school life, I was in a school camp close to my home at the age of 8, in a youth hostel some 250 miles away when I was 13, and in some sort of hotel in Paris/France at the end of my school life. I think camps for individuals became more popular after my school “career”. I’d say, however, that Boy/Girl Scout camps still are not very popular here. I don’t know anyone, either my age or not, who is a member of a Boy/Girl Scout group. And I never heard of any camp here like the one featured in “The Parent Trap” which apparently has kids from all across America. Another scheme I can think of, however, are theme-related camps, e.g. camps where the participants maintain war cemeteries or perform other types of charity work. 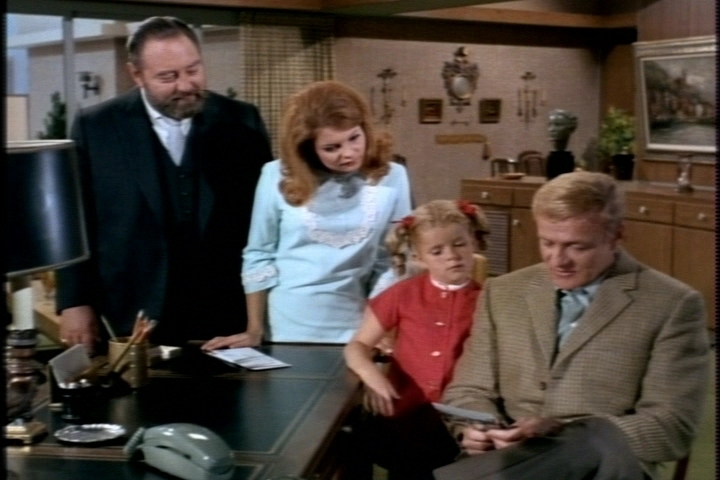 Back to Family Affair: Doesn’t Ruby sort of rub it in to Bill with his kind of snarky “Anything wrong Mr. Davis” remark? 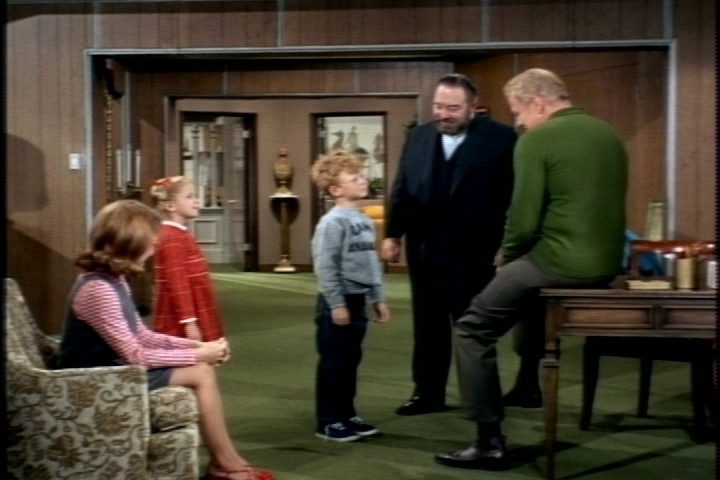 This episode has some sweet and nice Uncle Bill, Jody / Uncle Bill and Jody-and-his-sisters scenes. That perspiration garment dialogue is one of my favorites. I’m glad you commented about this; I find it fascinating to examine cultural differences. 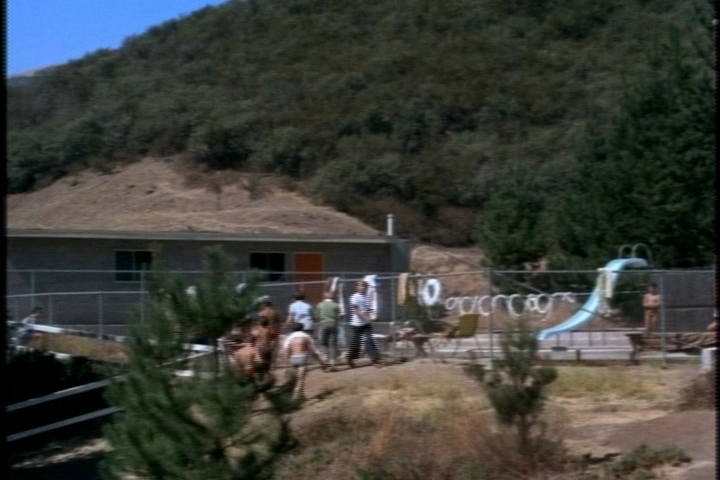 I’m sure it wasn’t unheard of for kids as young as Jody to attend such camps, but most kids were probably slightly older when they started going. In the small town where I lived, no one went to such a camp—kids had plenty of freedom for outdoor exploration on their own. Actually, there was a traditional summer camp on the outskirts of my town; the Jewish Community Center in the nearest large city operated it, so it fulfilled the typical role of providing outdoor experience for city kids. In small-town, “middle America,” a lot of kids went to Boy Scout or Girl Scout camps or similar camps run by youth organizations such as Campfire or 4-H. Those camps usually lasted a week or less and gave kids just a small taste of independence. I only went to one weekend camp with Girl Scouts at about age 9, and then I went to 4-H camp for a week each year from age 13 to 17. In communities like mine, people would have found sending your kids away for the whole summer odd and almost a bit cold-hearted. It seems to me that camp attendance in general has probably declined over the past generation or two. Instead of traditional summer camps, some affluent families send their kids to shorter themed camps (focusing on the arts, science, a particular sport, etc.). I can’t think of any equivalent to a municipal overnight camp in the U.S. (A lot of communities do offer “day camps,” however.) The only kind of school camp that comes to mind is “band camp,” for teenagers in their school marching band. Just wondering: Do schools in Germany typically have the long summer break that’s common in the U.S.? (When I was a kid, we got three full months off! The summer break is shorter now, but not by much.) I would think the school calendar influenced the popularity of camps here. Jody’s camp does look particularly dreary! I don’t think it would stay in business long, especially since kids keep fleeing. 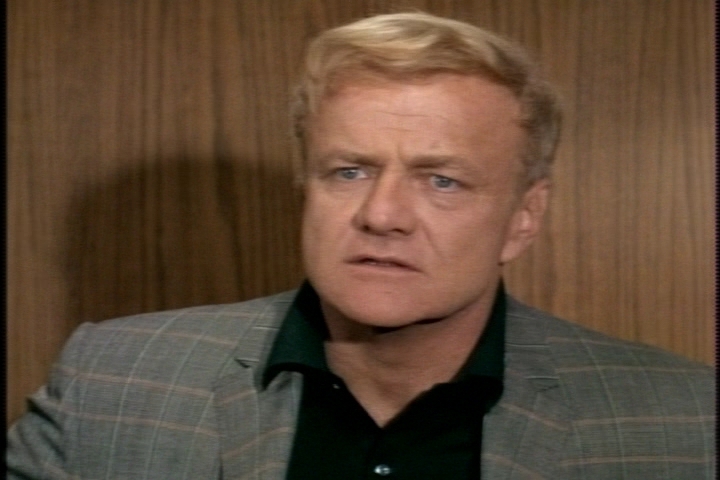 Ruby’s role in this episode is kind of annoying–talking tough about sending his kid away, stirring up worry in Bill’s mind, and then abruptly caving in when his son wanted to go home. I love the perspiration garment exchange! I get the feeling that even the actors found it amusing. Oh boy, now I AM confused about the German side of this whole camp thing! As you probably know, “The Parent Trap” is based on a novel by German author Erich Kästner who also wrote “Emil and the Detectives (see http://en.wikipedia.org/wiki/Lottie_and_Lisa). The first movie based on Kästner’s novel was made in Germany in 1950 and remained very close to the book. Not having seen it for a long time, I now try to remember its plot more clearly, particularly with regard to the camp subject. And I remember that the twins (in that early version living their separate lives in Munich and Vienna) really do meet in a summer camp in Germany – which completely blows my theory about such camps in Germany to pieces!!! Wrong again! However, I do find it hard to believe that such camps existed in a Germany that had just started to recover from the war and really had other big worries, including the education area. Oh no, summer break in German schools is only 6 weeks, with different starting dates in the federal states to avoid long traffic jams on the autobahns (a futile effort!). It’s true that this makes the organization of nation-wide camps pretty difficult. But don’t worry about German kids: To make up for your almost 3 months, German kids also have holidays at Easter (about 2 weeks), in autumn (1–2 weeks) around Christmas (2 weeks) and, according to the federal state, around Pentecost (1-2 weeks) or on some local occasions, e.g. the grape harvest in wine-producing regions (1-2 weeks). P.S. I try to get this (shortened) comment through for the second time after its posting failed 2 weeks ago (“your comment is awaiting moderation”). It’s strange that the comment didn’t go through before. Usually, I only have to moderate comments from first-time posters. Sorry about that. I had forgotten that the original source material for The Parent Trap was German. The summer camp issue is intriguing. Camp does provide an ideal setting for girls from different areas to come together (and stay just long enough to make a life-changing discovery).